Who doesn’t love a good bit of fried chicken every now and then. We have a great recipe which we have been using for years and we thought it was about time it got featured on the website. 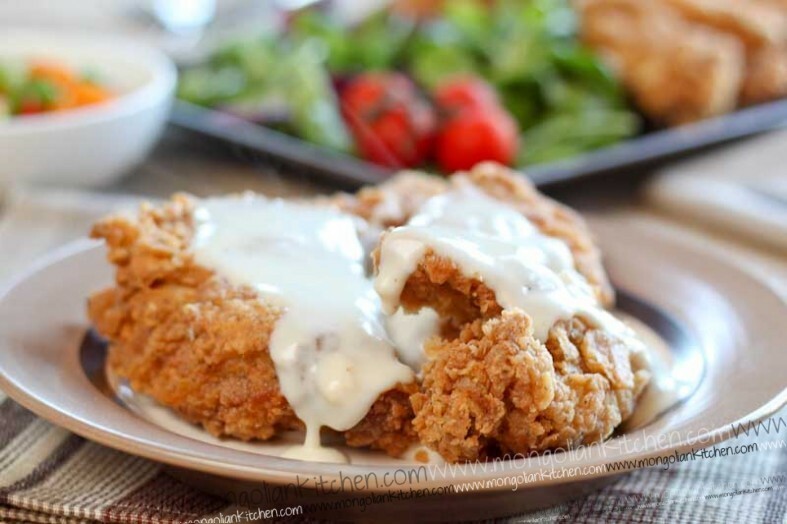 Actually the inspiration was a recent trip to the States where we discovered that they served their fried chicken with “gravy” which is basically a white sauce. 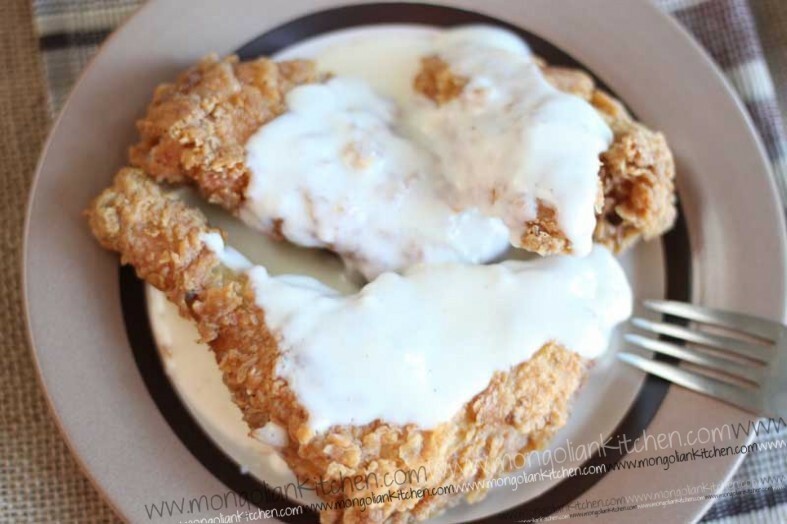 The combination of the gravy and fried chicken is fantastic and beats any “brown gravy”. 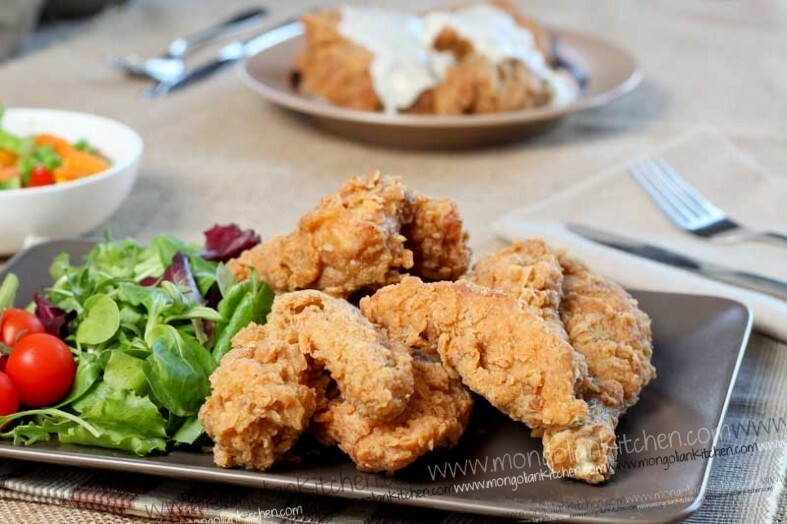 Our fried chicken recipe which we call KFC (kookoo’s fried chicken) is very simple and you will get great results. Unlike normal recipe’s we dip the chicken in the egg first then the flour (most recipe’s dip into the seasoned flour first). We find the egg creates bubbles of crispyness as the flour attaches to it. The other key trick is the herb rub for the chicken. To really get the flavour the chicken has to first be rubbed with plenty of mixture. The main flavours in there are salt & pepper, garlic & onion powder as well as other herbs, all ground together to make a great tasting fried chicken herb rub. If you want to try it in its most basic form..simply try salt and black pepper. 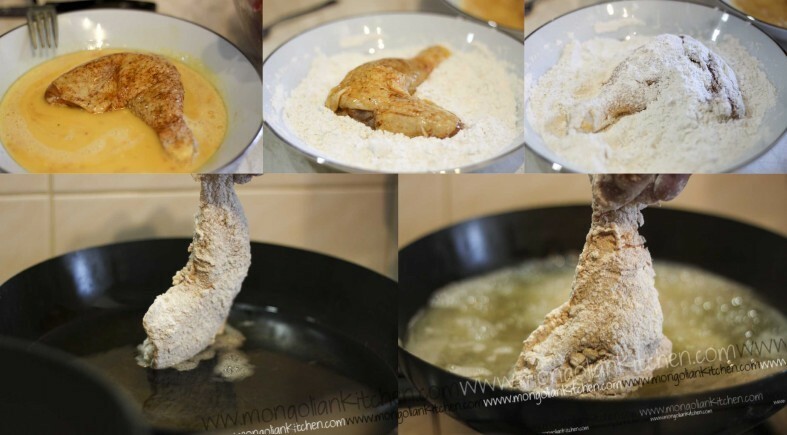 What you can also do to get really tender chicken is marinade the pieces of chicken in yoghurt or buttermilk overnight. This will tenderise the chicken and give you an even more juicy fried chicken. We didnt have the time on this occasion but if you do it is worth trying. Add all the herb rub ingredients into a mortal and peste and grind together. Remove ¼ of the mixture and set aside. Rub the rest of the spice rub liberally all over the chicken. Prepare the flour and egg stations. In seperate shallow bowls mix the flour mixture ingredients in one and the egg dip in the other, set aside. In a non stick pan melt the butter then add the flour. Cook our for 1-2 minutes until the flour smells nutty. 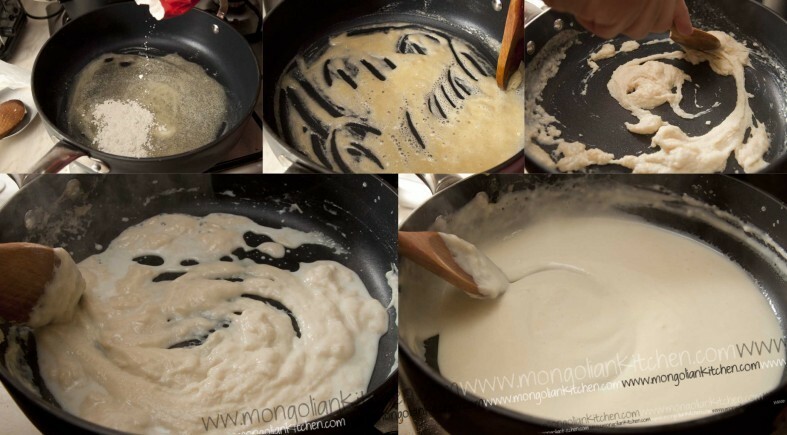 Continue doing this until you have a thick gravy consistency (adding the milk a little a time will ensure you get no lumps - do not add more milk until you have completely combined the mixture). Heat the oil to a medium heat in a deep frying pan, wok or fryer. While it heats up prepare the chicken for frying. Dip firstly into the Egg then into the flour. Tip do not shake off all the egg and make sure you get plenty of flour onto the chicken. The excess flour will fry to become golden and crispy so the more the better. Fry the chicken for about 10-15 minutes. Make sure the oil is not too hot as it will brown the outside leaving the inside raw. Do not cook too many pieces at the same time as it will drop the temperature of the oil. Once cooked drain and allow to rest for 10 minutes. Serve topped with the gravy and mashed potatoes. I’m gonna try this recipe on weekend, hope it turns out as good as it sounds.